Looking for Auto Insurance? 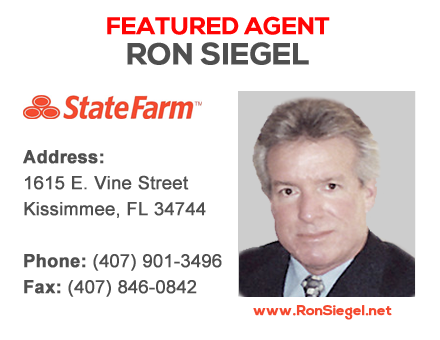 We connect you with auto insurance agents in Kissimmee, St. Cloud, Celebration and all of Central Florida. Check out the ways you can save on reliable, affordable car insurance. Get your free quote to compare auto insurance rates in minutes. Also, getting affordable car insurance coverage doesn't mean you have to say goodbye to quality protection. We have plenty of ways to save you money on the coverage you need. Don't compromise what you want with what you can afford. We pride ourselves for connecting our customers to our great rates. It’s understandable that some families are unable to afford the typical insurance rates in Kissimmee, Buenaventura Lakes and St. Cloud auto insurance companies require. You can rest assured that we will work with you every step of the way in order to get you the lowest rates, combined with friendly customer service and a positive overall experience. Proudly serving St. Cloud, Kissimmee and Buenaventura Lakes with auto insurance agents since 1982. When customers come to us they receive genuine and compassionate one on one service. Insurance agents may be sometimes looking to further their own career rather than spend time to create an individualized plan tailored just for you. We will connect you with one of our trusted agents that cover Kissimmee, Buenaventura Lakes, St. Cloud, and all over Central Florida. Finding auto insurance in Kissimmee, Buenaventura Lakes and St. Cloud has never been easier! We know insurance and understand your auto insurance needs. We are dedicated to providing our services to Floridians in an effort to better the roads we drive on and the communities we live in. Nothing is more important to us than making sure that you are satisfied with your car insurance and want to come back to do business with one of our Kissimmee auto insurance agents again. Central Florida - we look forward to serving you.